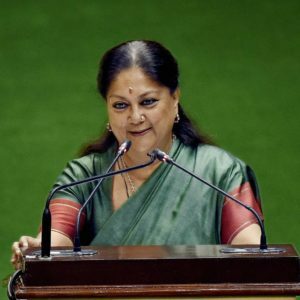 Today where we all are celebrating International Women’s Day on 8th March, the same day someone special was born who became the first women, chief minister of Rajasthan. Yes, you are right we are talking about Smt. 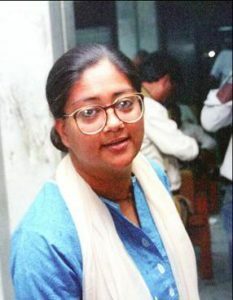 Vasundhara Raje. She was born on 8 March 1953 in Mumbai. She is the daughter of the famous royal family of Gwalior. 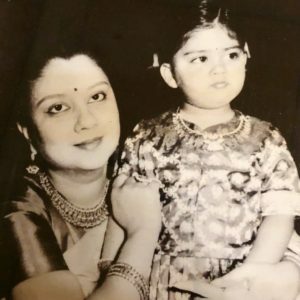 Her father’s name is Maharaja Jivaji Rao Scindia and her mother is Vijaya Raje Scindia. 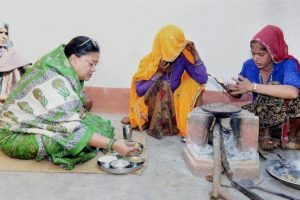 Vasundhara Raje learned social and political issues for her mother, ever since she was a teenager. After her marriage with Maharaja Hemant Singh of Dholpur, she came to Rajasthan. For all those who love her, here are some rare pictures and interesting facts about her. 2. 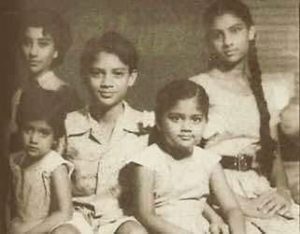 Vasundhara Raje with his brother Madhavrao Scindia and sisters. 3. She was the Vice President of State BJP Yuva Morcha. 4. 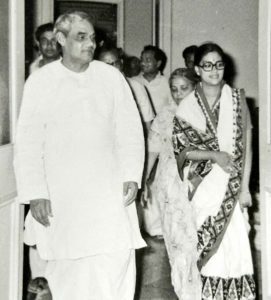 Recently, she shared a picture with Atal Bihari Vajpayee Ji, when he passed away on 16 August 2018. She was Union Minister Of State, External Affairs in Vajpayee’s cabinet in 1998-99. 5. 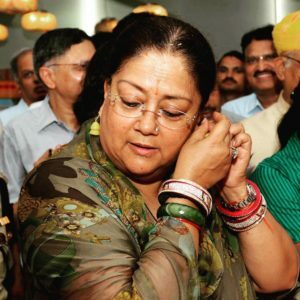 She becomes such popular in Rajasthan that she won the Jhalrapatan seat for five consecutive terms. 6. The beauty and craft of Rajasthan, She says that Rajasthan has the world to offer. She believes at every corner of Rajasthan has a story to tell. In the picture, she is trying traditional earrings made by the local ladies from Kalyani Self- Help Group in Bhilwara.